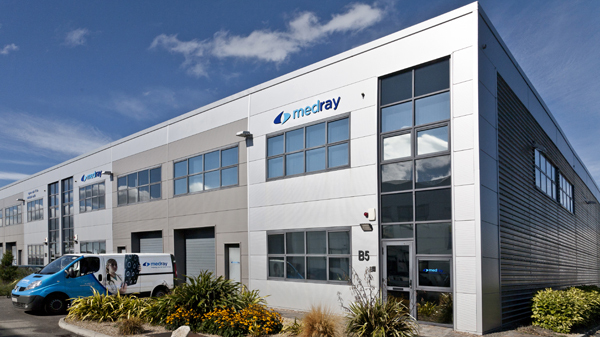 Medray Imaging Systems' connection with the Irish x-ray industry stretches back almost 30 years. During the early years the primary focus was on providing the needs of conventional radiography with many products which are still part of our business, such as lead aprons and positional aids. Today, our product offering includes Digital Radiology (DR) and IT solutions to imaging centres. In a rapidly changing industry, which now demands digital imaging acquisition, viewing, storing and sharing, we are perfectly positioned to be a one stop radiology provider. With state of the art products, from Carestream, this includes, PACS, RIS, DR, CR, through to Epson CD Burners and Planalux PACS / IT furniture. Our rapid adaptation to market demands means Medray continues to be foremost in the minds of progressive Radiology and PACS Managers. Our dedicated customer care staff back up and Medray's business development team, includes over 16 dedicated fully trained staff. Our Service Co-ordinators, manages a team of 4 engineers whose combined experience stretches over 70 years and whose credentials include the installation and support of our latest PACS & RIS projects. Supporting an extensive machine park both in the Republic and Northern Ireland, we have engineers located strategically, to respond promptly to emergency breakdowns and a planned maintenance programme. We operate 24 hours a day, 365 days a year and are committed to maintaining our targeted figure of <1% downtime per machine per year. As a reward for our unfaltering dedication to customer service we were honoured with the AFS Service Leader of the Year Award 2008, the AFS Best Service Employer Award 2009 and the AFS Best Agency Implementation Award 2012.